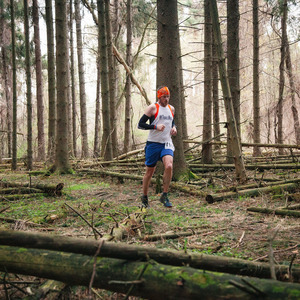 Ron, the runner, is a founding member of #TrailsRoc, Rochester's premier trail running organization. As a lifelong resident of Rochester, Ron found himself running solo and looking for like-minded trail folk. His search ran him into Eric Eagan, Sean Storie and Ben Murphy and ultimately ended up building a community. Ron the photographer, as an independent and as one part of The Ascend Collective (the other being Michael Lesher) now specializes in capturing the memories of the community he helped build. His running fitness and ability to understand the emotions of trail runners are two unique tools that he uses to go places other photographers wouldn't dare and to capture shots very few others can get. Check out his professional theatre and adventure photography website at Goat Factory Media. 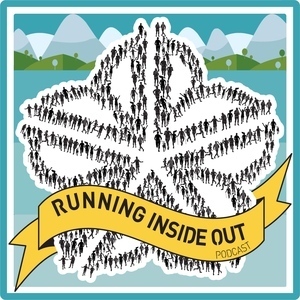 And visit The Ascend Collective for the pictures that go along with all the stories you hear on Running Inside Out Podcast. Ron Heerkens Jr has been a guest on 2 episodes. The Ascend Collective takes us behind the camera to tell us how they capture our favorite running memories. If you've looked at a photo from a trail race in New York and said "Whoa", chances are it was taken by The Ascend Collective. Jamie Hobbs regales us with thrilling tales in the Blue Ridge Mountains at Hellgate.